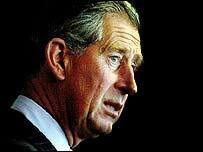 A report commissioned by the Prince of Wales into the cost of complementary medicines has sparked controversy. Prince Charles, an enthusiast for alternative medicine, asked an independent economist to work out how much such therapies could save the NHS. Christopher Smallwood, former economics adviser to Barclays Bank, will submit his report to ministers in this autumn. But a leading complementary medicine expert said such analyses should be left to the official NHS watchdog. Professor Edzard Ernst, professor of complementary and alternative medicine at the University of Exeter warned that otherwise, unproved treatments could be integrated into the NHS at the expense of other therapies. "Potentially, that could be quite detrimental to the NHS," he said. He accused the report, commissioned by Prince Charles but funded by two independent charities, of introducing double standards in healthcare provision. "One standard exists already for mainstream medicine and a new standard is being created for complementary medicine." He believes the National Institute for Health and Clinical Excellence (NICE), which conducts cost analyses for conventional medicines, should be the one to assess the cost-benefits for the NHS of providing therapies such as homeopathy. "The issue itself - the question of whether it saves money or costs extra money - is crucial. "It will absolutely determine the future of complementary medicine in this country. "Because it is so important, it is essential to base it on high quality research. That has to come from a team of experts well versed in health economics in medicine and complementary medicine," Professor Ernst said. Paddy Haverson, the Prince's communications secretary, said: "It is entirely inappropriate for anyone to be commenting on the report when it has not even been completed, let alone published." He said the Prince had asked Mr Smallwood to conduct the analysis because he was independent of the Prince's Foundation for Integrated Health, which promotes alternative medicine therapies. This month, the Patients Association has called for all GPs to provide patients with the choice of using complementary medicine where it had been proven to work. But the British Medical Association said while access should be more "equitable", there needed to be better regulation. Evan Harris, Liberal Democrat science spokesman, said: "I am very dubious about whether NHS money that could be spend on things that have been shown to work should be spent on things, however popular they are." He said any cost-benefit review of complementary medicines should be based on peer-reviewed, non-biased reports.